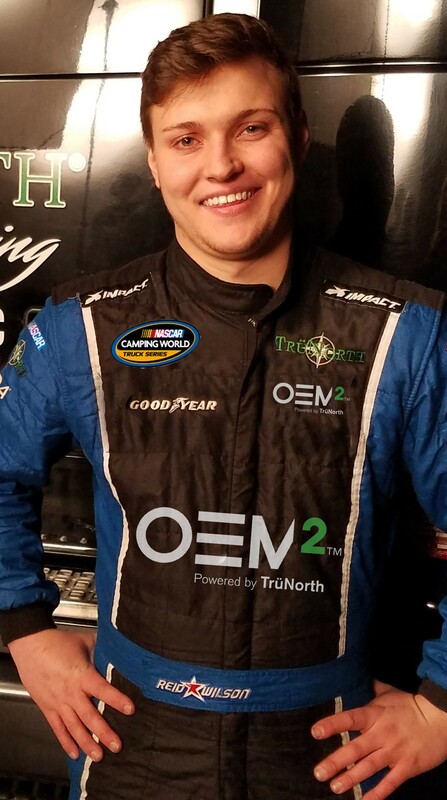 HUNTERSVILLE, N.C., June 13, 2018 /PRNewswire/ -- NASCAR Camping World Truck Series (NCWTS) rookie Reid Wilson and his OEM2 Powered by TruNorth™ team returns to the track at Iowa Speedway with Young's Motorsports for the NCWTS M&M's 200, June 16. This will be Wilson's second start of the season for OEM2 Powered by TruNorth™. In his series debut at Martinsville Speedway earlier this season, Wilson finished 16th after starting 20th. Wilson will drive the no. 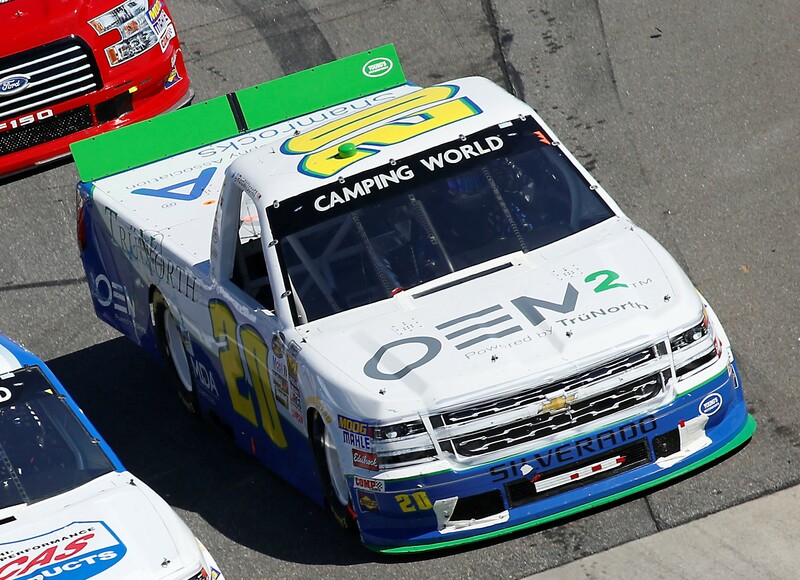 12 Chevrolet Silverado at Iowa, one of three trucks entered in the M&M's 200 from Young's Motorsports. "I'm excited to not only race at Iowa, but also to be the first driver of the no. 12 for the expanded third team at Young's Motorsports," said Wilson. TruNorth™ Warranty Programs of North America, the leading provider of commercial asset related warranty programs and services for dealers, fleets, owner-operators and commercial finance companies, will promote its OEM2 Powered by TruNorth™ warranty brand as the primary sponsor on the race truck. Additionally, Harrison Truck Centers, based in Iowa, will be featured on the truck. "The folks at Harrison Truck Centers work hard every day to serve their customers, and we appreciate our partnership with them," commented TruNorth™ SVP, John Gates. Wilson and TrüNorth™ will once again include the Muscular Dystrophy Association (MDA) on the truck to promote MDA Summer Camp. Wilson volunteers as an MDA Summer Camp counselor and serves on the MDA Muscle Team, a group of professional athletes working to raise awareness and funding for the efforts of the MDA. "Summer camp is the one week where the kids enjoy being typical kids, doing all the wonderful things you love about camp. And thanks to the hundreds of volunteers and financial supporters across the country, thousands of kids get to experience camp at no cost to the families. Most say it's 'The best week of the year,'" exclaimed Wilson who is at camp this week for MDA Charlotte and will fly directly from camp to Iowa for Saturday's race. The NASCAR Camping World Truck Series M&M's 200 presented by Casey's General Store will air live on FS1, Saturday, June 16 at 7 p.m. ET. For more information on TruNorth™ Warranty Programs of America and OEM2 Powered by TruNorth™, please visit www.trunorthwarranty.com, follow @TruNorthNA on Twitter and like them on Facebook at www.facebook.com/TruNorthWarranty. For more information on Reid Wilson, please visit www.reidwilsonracing.com, follow @reidwilson66 on Twitter and like him on Facebook at www.facebook.com/ReidWilsonRacing. Contact racing@trunorthwarranty.com. For more information on Young's Motorsports, please visit www.youngsmotorsports.com, follow @youngsmtrsports on Twitter and like us on Facebook at www.facebook.com/YoungsMotorsports.